The cottage has been newly renovated with the addition of quartz counters, new lighting, new flooring and appliances(sorry no dishwasher). 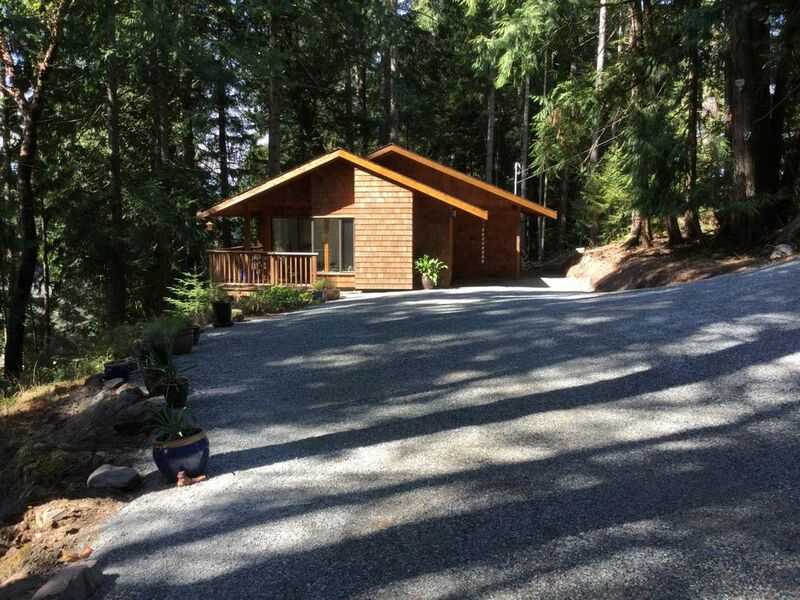 It is a fully furnished one bedroom that sleeps 2 adults with views into the forest. A luxury queen bed with queen pillows and lovely Egyptian cotton sheets, fluffy bath towels, washer and dryer, telephone for local calls only, Wi-Fi, cable TV, along with Shaw's new Blue-sky HD system, fireplace and many other features are there for your use. Beach chairs, a cooler and towels are available for those days at one of the lakes or beaches. The private deck that overlooks the property is a great place to enjoy your meals that you have prepared on the BBQ. Also enjoy a complimentary goodie basket. We also have an iron and ironing board, hair dryer and a few basic spices. All linens are provided. Our house rules: not suitable for infants under 2, not suitable for children aged 2 - 12, no smoking, no parties or events, no pets.